Many will remember the storm of 2000. It was quite an event and quite a drag. 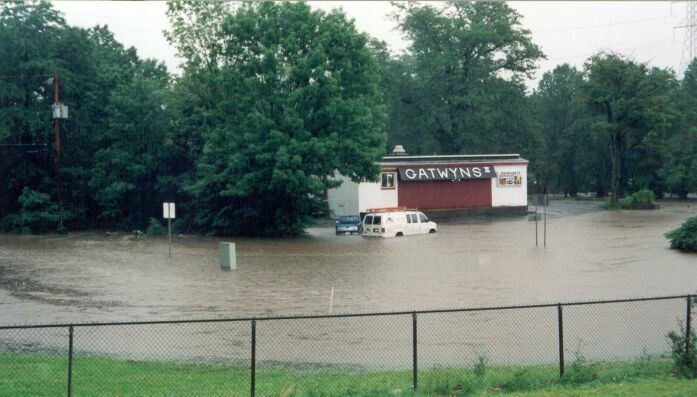 More than 14-inches of rain fell in a small area of southeastern Sussex and northwestern Morris County in northwestern New Jersey during August 11-14, 2000. 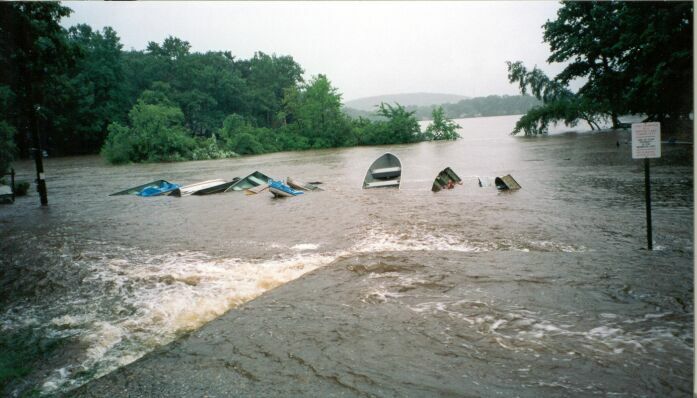 Flood peaks at some U.S. Geological Survey gauging stations on Lake Hopatcong, Musconetcong River, Green Pond Brook, Rockaway River, and Russia Brook tributary were the highest ever recorded. The areas hit most severely were in Sussex and Morris Counties, with the storm centered over the townships of Sparta, Hopatcong and Jefferson. A total of four dams completely failed as a result of the ensuing floods. The following pictures were provided by the Mount Arlington Fire Dpt. and Al Klein.